Sterling silver, tarnish resistant, Freshadama quality, Freshwater Pearl. 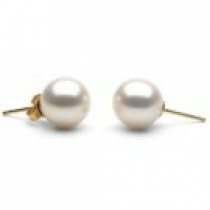 The pearl measures 8-9 mm and is available in White, Pink-to-Peach and Lavender (natural colors). This ring belongs to our collection "DEMAIN". 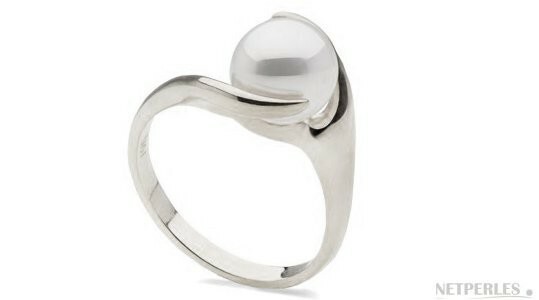 The Sterling Silver (tarnish resistant) ring features a round Freshwater pearl, 8-9 mm, round, Freshadama quality. The pearl is FRESHADAMA quality, that means the best quality of all Freshwater production. Brilliant luster, flawless surface, perfectly round pearls, only 0.01% of the total Freshwater worldwide production have these factors of very high quality. 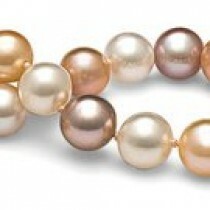 Freshadama pearls are the world's highest-quality freshwater pearls. Freshwater Lavender and Pink to Peach pearls come in a variety of natural colors with rich, beautiful luster and warm, iridescent overtones. The pearl you receive may slightly differ from the ones pictured.